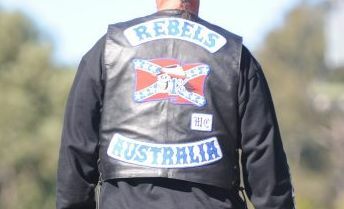 SIXTEEN Sunshine Coasters - including alleged associates of the Rebels motorcycle club - have been arrested on various drug charges following a four-day police operation. However, a senior member of the Rebels' Sunshine Coast chapter last night emphatically denied that any club members had anything to do with "what's going on". "It's just not true," the 22-year Rebels veteran said. "In the heat of what's going on, it's just hype and spin." It is unclear if any of the police charges will relate to the state government's controversial new bikie gang membership laws. "All the heat in the news, regarding police being worried about being attacked, it's all hype and spin to justify the new laws that have come in," the Rebels representative said. "I don't know of anyone who would attack a police officer - they're just doing their jobs." Coast police teamed up with officers from Taskforce Maxima, to conduct raids on storage sheds and homes in relation to drug distribution networks. The Rebels clubhouse at Kunda Park was not visited during the raids. "They were only associates of the Rebels, so there weren't any members involved in the raids," Detective Inspector David Drinnen said late yesterday. Those arrested have been charged with 40 drug-related matters, including trafficking, supply, and possession of dangerous drugs. Police allegedly seized chemicals, methylamphetamines, cannabis and cash in the raids. At least three of those arrested have already appeared in court. Two others, on relatively minor charges, are expected to appear today to "show cause" under new regulations whether they should be granted bail. Attorney General Jarrod Bleijie said late yesterday that the actions delivered on the LNP Government's promise to get tough on crime. en such swift, strong action," he said of the law reforms. The Coast Rebels representative said the club supported the fight against crime. "We've got children and grandchildren growing up on the Coast too - we don't want c**p on the Coast either," he said. Det Insp Drinnen said the latest arrests would have a significant impact on drug supplies on the Coast. "We will continue to dismantle these networks," he said.